Salutation: Required, Yes / No - lets the user choose his / her salutation - Mr. / Ms. / Mrs. / Dr. / Prof.
Name Appearance: Full Name / First and Last Name - choose whether a single Full Name field is displayed or 2 separate First Name and Last Name fields. 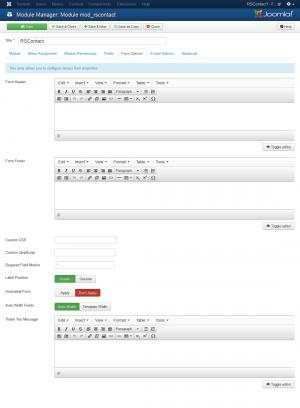 These are 3 fields that can be customized in order to include any information required for your scenario. Send Copy: You can set this to Yes in order to always send a copy of the submission to the user. Set to Let User Decide to display a checkbox that can enable / disable the option. Set to No in order to completely remove the field. Set the fields to No in order to disable them. Set to Required in order to render the fields as required. Required Field Marker: Set the character that will be displayed along with required fields. Horizontal Form: Set to Apply if Label Position is set to Outside. Thank You Message: Add any text or HTML code that will be displayed after the form's submission. 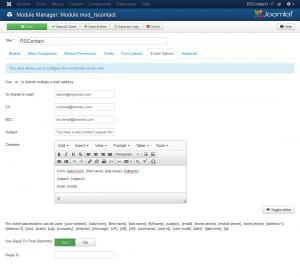 Here you can configure the email that will get sent after the form's submission. Contents: The email's contents. 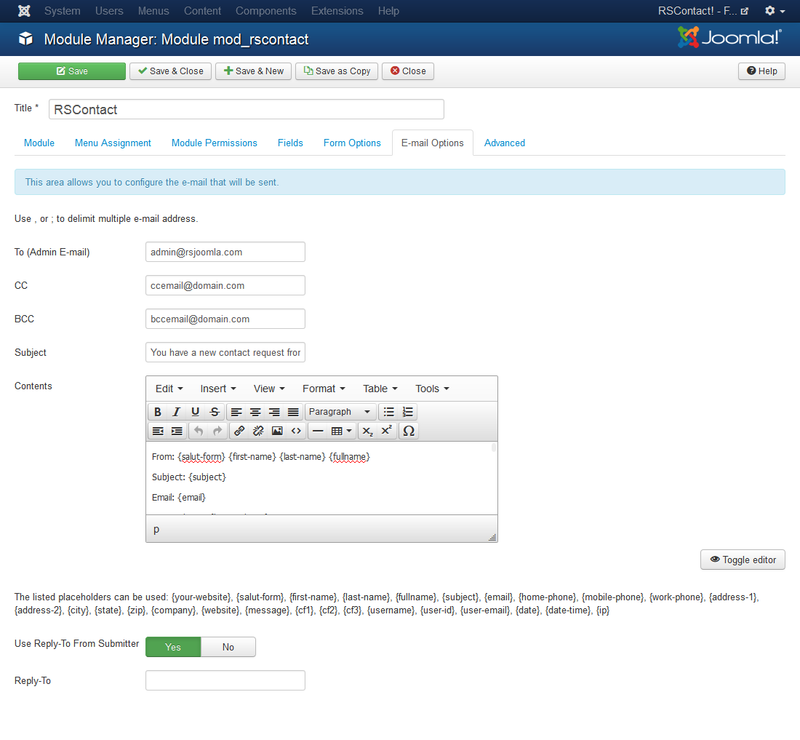 The use of placeholders is available in order to include submission information. Please see the Available Placeholders section below.